During our Year End Sale, you can get a FREE DROP on select chiropractic elevating tables. 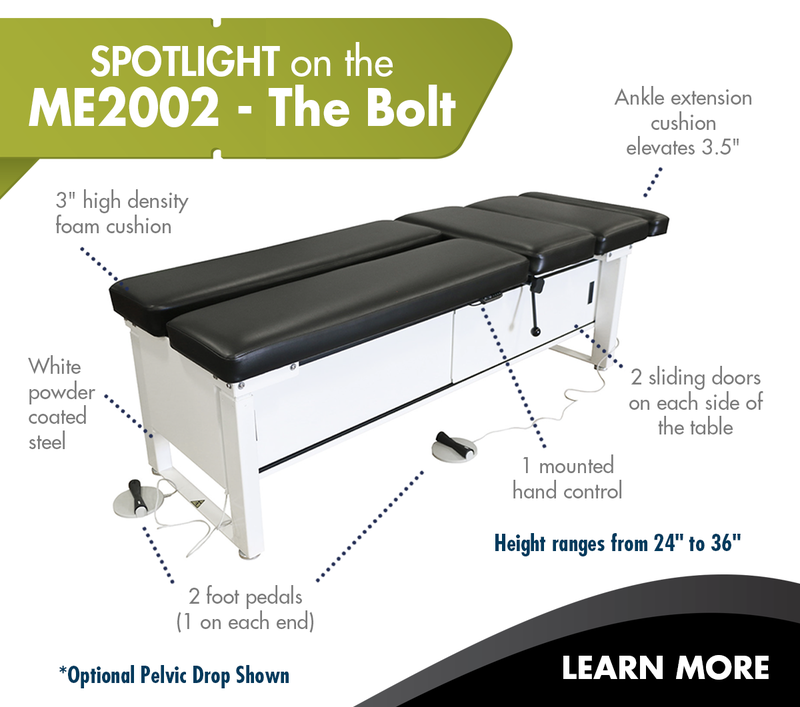 The ME2002 Elevating Table - The Bolt has been specifically designed for doctors of chiropractic allowing them to effectively treat each patient. This dynamic table has been designed and built with the highest standards of quality, integrity, and innovation. With its quiet and smooth elevation, the ME2002 allows each practitioner to eliminate the constant squatting and bending while treating patients, leaving them with more energy at the end of the work day. 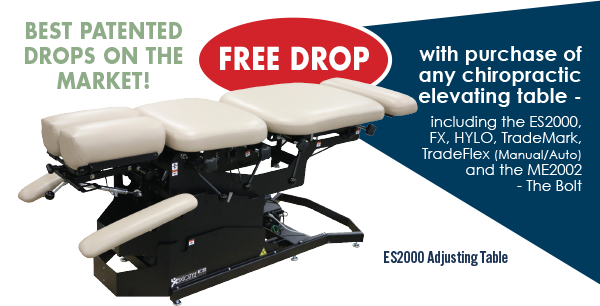 During our Year End Sale, you can get a FREE DROP on other chiropractic elevating tables such as the ES2000, HYLO, TradeMark and Tradeflex (Manual/Auto)!